PDF boysenberry truffle pattern uses a 1 yard each of the pink and the brown and the background. 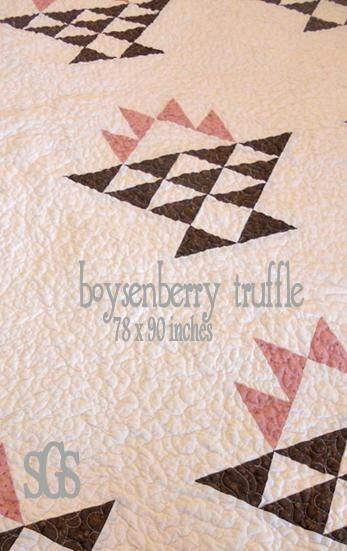 boysenberry truffle finishes at 78 x 90 inches and features a combination basket and cake stand block. This listing is for the PDF pattern. So Vintage Looking, just lovely!